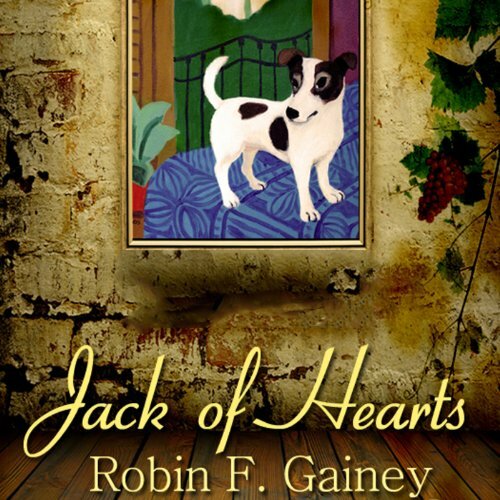 Showing results by author "Robin Gainey"
Jack of Hearts is a novel of literary fiction told from the point of view of a small, aristocratic dog named Shimoni. This imaginative first novel explores themes of fidelity and honor and offers a fresh perspective of Italian culture and amore. Shimoni's passion for Italian cuisine and Elvis are rivaled only by his devotion to his masters, a Roman Count and Countess. However, his discovery that Il Conte is having an affair imperils his comfortable life and plunges Shimoni into a quest to rekindle his masters' love and preserve his home.